THE RIVER. The name of that French Synthétiseur Multitimbral Analogique Polyphonique might be deceiving, evoking memories of a leisurely Sunday boat trip, or a romantic stroll by the riverside. But! THE RIVER is anything else but gentle. It’s more like the mighty Mississippi at flood time. An elemental SOUND force. 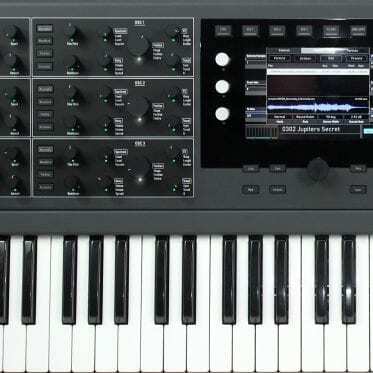 This towering example of a modern polyphonic analog synth was issued in early 2018 in a small run of 20 units. (The model shown does have number # 21, but that’s because one number in the series was not, for some reason, delegated.) The fact that a further series is planned for 2019 is reason enough to take a closer look (and hear!) at this French masterpiece. And the fact that the Moog ONE has just officially been born is yet another reason to bring THE RIVER to mind. A comparison of the two synths could turn out to be one of the most tantalizing projects in our near future. How “analog” is modern analog sound? How good is good? 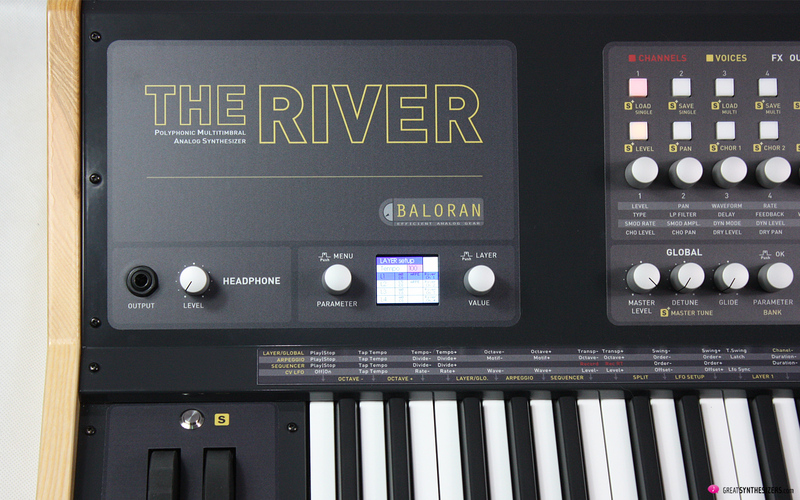 Laurent Lecatelier, founder of BALORAN and developer of THE RIVER, fell in love with Moog’s THE SOURCE years ago. That monophonic 1981 synth was magic to his ears: Not entirely moogish, more individual and special, interesting and full of character. No wonder Laurent Lecatelier decided to build a polyphonic analog synth with exactly the same sound architecture. 8 recreated Moog THE SOURCE sound cards form (along with a few extras) the fundament of THE RIVER. You’re right. There are a whole lot of new names here. TRIKO – what was that again? 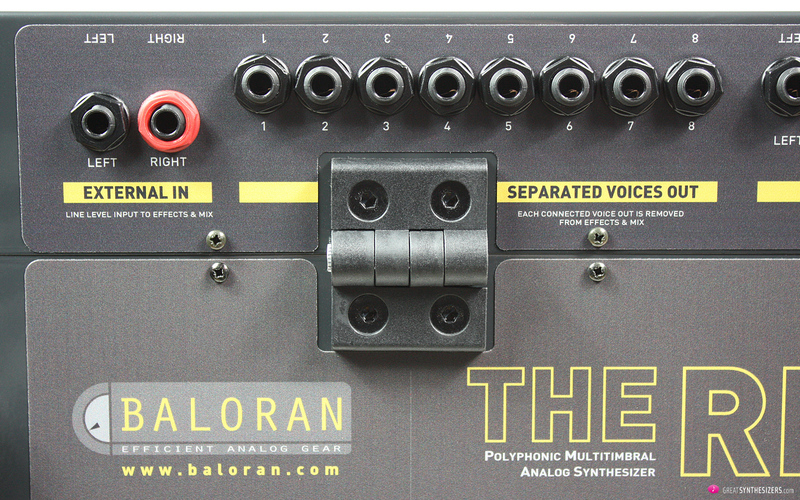 THE TRIKO: a 19-inch effect rack developed by BALORAN. A first-rate studio component for sound enrichment, more of a musical instrument than a purely technical piece of gear. Whereby the triple analog chorus and the tape delay simulation deserve special mention. Those excellent sound results can become – if desired – excitingly experimental. And that noble effect machine THE TRIKO has been totally implemented into THE RIVER. The very efficient control system RiverKey supplements THE SOURCE and THE TRIKO. This is the mind of THE RIVER, so to speak. Responsible for voice delegation, sound mapping, layering and splitting, all aspects of sequencing and arpeggiation and sound management, MIDI and USB. It’s this control center that turns THE RIVER into an 8-voice CV/Gate step-sequencer which doesn’t just function internally, but also enables you to control other (monophonic) analog synthesizers in your studio. That keyboard on THE RIVER is, by the way, none other than the excellent FATAR TP/8S. 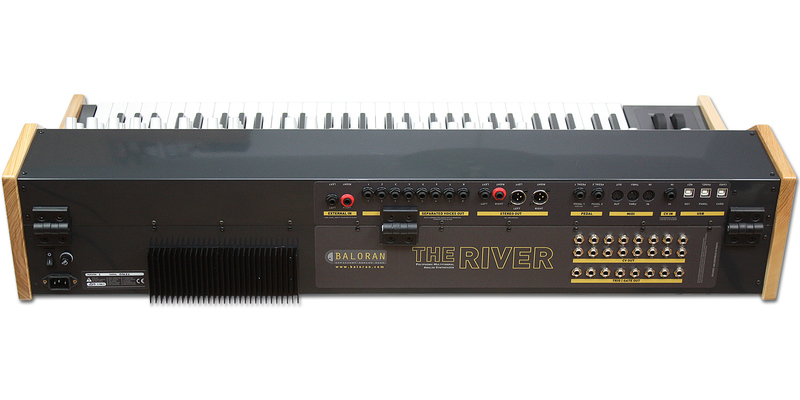 You might expect THE RIVER, being the first synthesizer of a one-man-company, to be sort of a prototype. A hobby project which just happend to turn into a small series. But none of that! 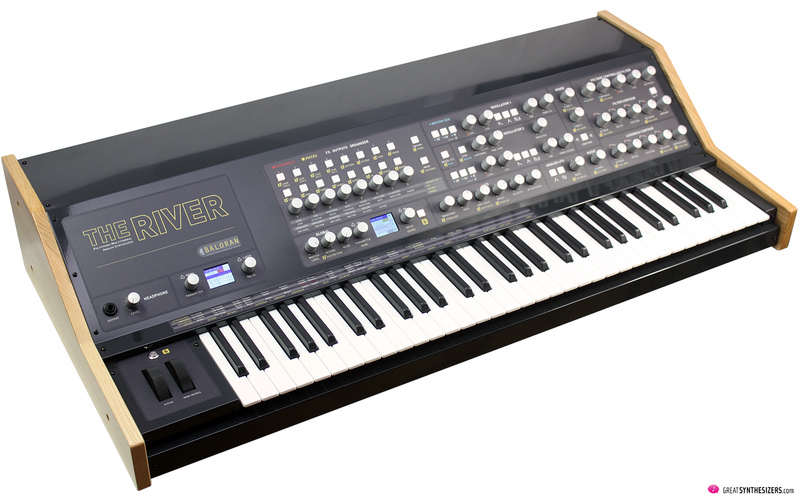 THE RIVER is a high-quality and professionally manufactured studio synthesizer with a standard high above many of the sophisticated products available on the market today. Heavy chassis, lovely wooden side panels, excellent keyboard, solid pots and switches, luxurious connections: Everything at its finest. The layout is excellent and the lettering is clear and perfectly legible. Ok, ok … THE RIVER admittedly suffers from a slight “overkill of functions”. We will get back to that later. A serious piece of musical potential, weighing in at nearly 30 kg and measuring 104 x 50 x 20 cm (B / D / H). The weight and height (surprising!) are impressive. Incidentally, the flat top of THE RIVER serves well as a storage place for smaller instruments, drum computers, notebooks and similar devices. But careful, Laurent Lecatelier had the instrument coated with a high-quality piano lacquer (scratch-proned?). THE RIVER shines in the noblest manner, whereby the panel itself is covered with a rough, dust-repellent film. Pic. : Audio-In and 8 single outputs. Pic. : Pedal 1 /2, MIDI-Trio, CV-IN, 3 x USB and CV/Gate-Outs. Granted, sound production is the clearest focus of this review: How does THE RIVER sound? How does its sound on its own and compared to other instruments? 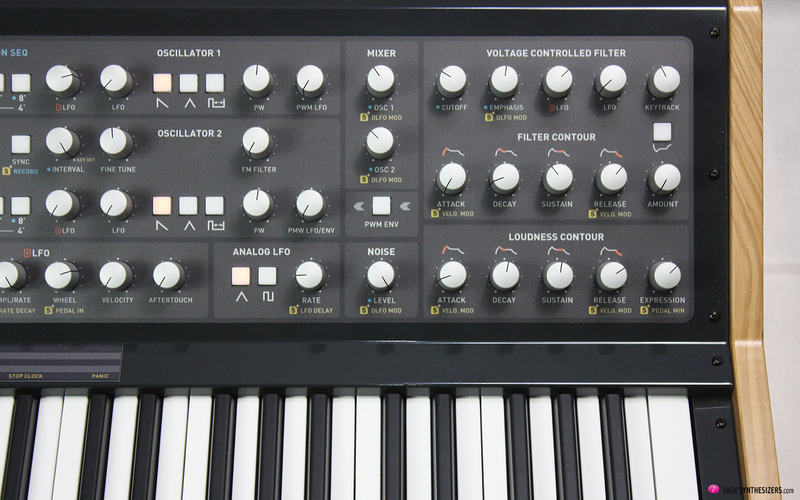 We have focused on the synthesizer part for three reasons. First, and obviously, sound is – undoubtedly – the basis of every musical instrument and therefore of upmost importance. Secondly, THE RIVER in its entirety is so comprehensive and complex that we can at best deal with the remaining areas (“effect unit” / “control center”) at a glance. Thirdly, those individual areas aren’t really so very individual, so they get mentioned in any case: No sound generation without the (important) effects and without individual organization of the voices. Just to make it clear, we repeat: All 3 areas can only be seen as a whole. To get acquainted with most of the technical goodies, please refer to the detailed THE RIVER Test Report (Audiofanzine) by synthwalker. First, the memory capability. There are 160 Single-Sounds, 40 FX-Sounds (again Single-Sound-Memories), 40 Multi-Sounds and 10 Profiles (layer arrangements). 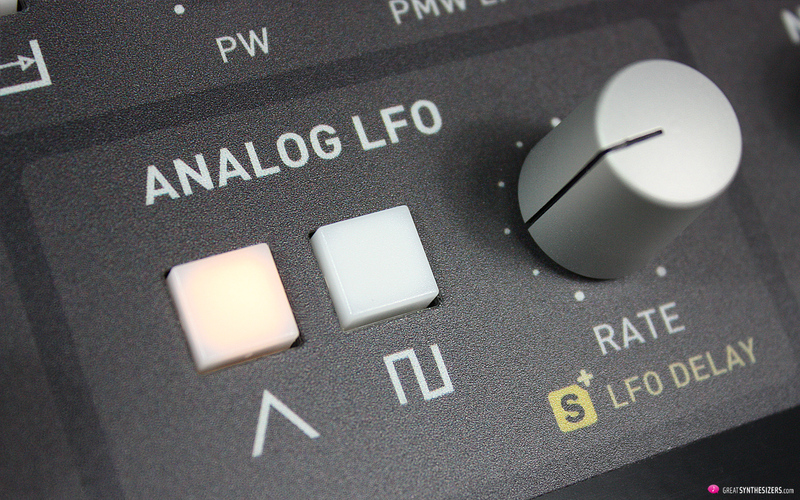 The inconspicuous – and yet most sensational aspect of THE RIVER – is the LFO, no, are the LFOs. Precisely speaking: “Each voice has … its own LFO”. Exactly this detail is a much-sought-after in polyphonic analog synthesizers. 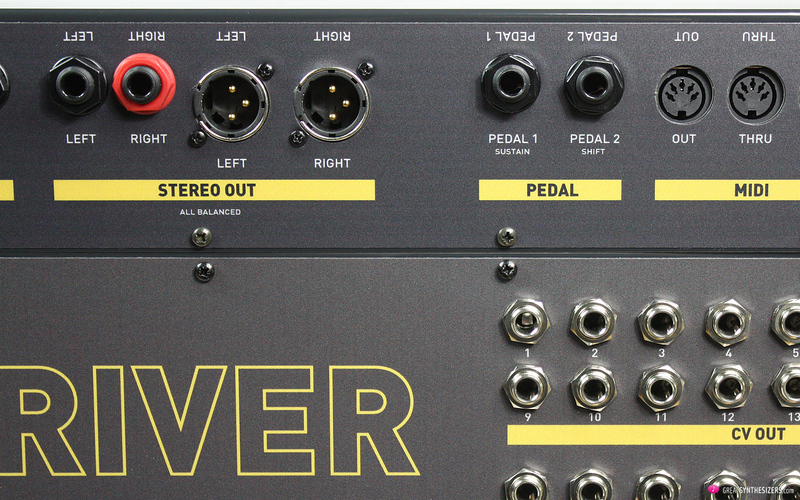 THE RIVER has 8 independent, analog LFOs. One per voice. For individual pitch modulation / filter modulation and – especially – for independent PWM per key (per voice). That makes the sound very dense, incredibly lively, extremely natural. Which is one of the major reasons why THE RIVER has such a spectacular sound. In order to be able to quickly achieve such simple things as “vibrato for all voices” (and Sample & Hold and other goodies), THE RIVER was equipped with an additional global LFO. A D LFO (Digital LFO) – a complex LFO and modulation envelope generator. Pic. : The left display delivers multi-sound information (layers, …). This alone is quite respectable, allowing for implementation of performance-oriented aspects such as Mod-Wheel-to-VCF-Control: the control of the filter frequency via the modulation wheel. Or the nuanced addition of a sample & hold modulation by the wheel. Now to some exciting additional details. 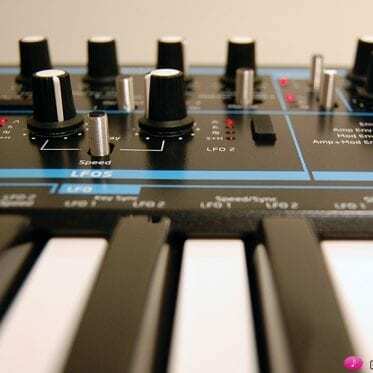 If desired, the D LFO can be voltage-controlled in its modulation depth or in its speed (!). 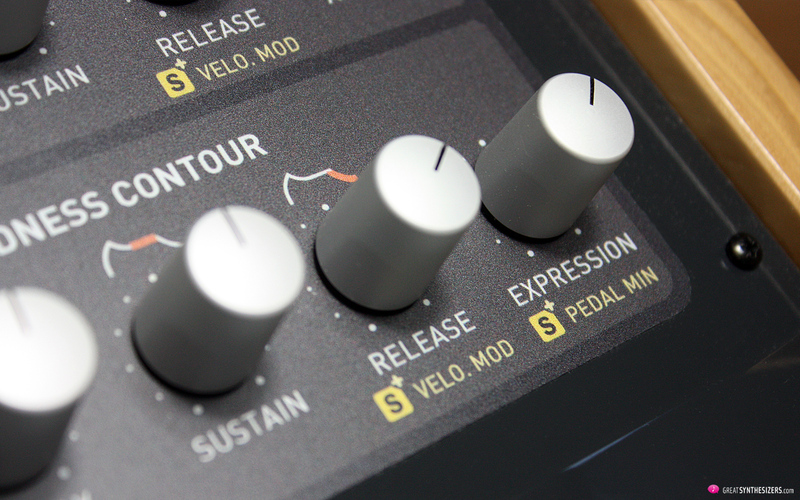 Via modulation wheel / pedal-IN, velocity or aftertouch – all three (four) control sources are separately adjustable. The sound example “VelContr D LFO” demonstrates the velocity controlled LFO speed. Very simple, very effective! 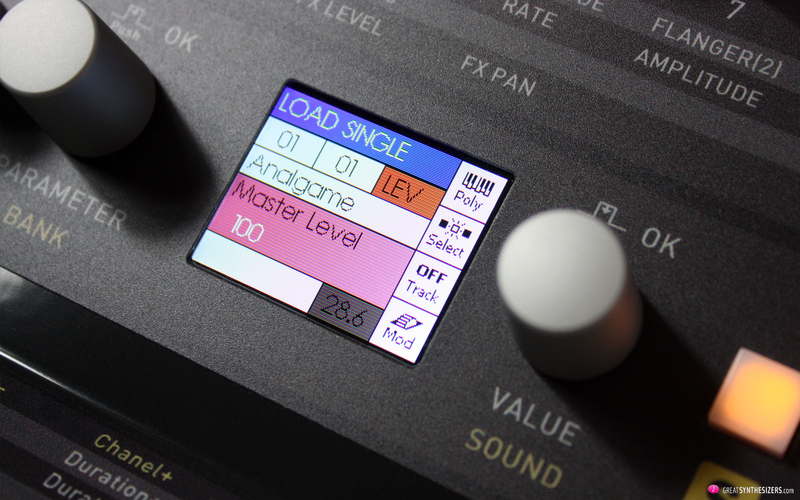 Above and beyond: The D LFO can be looped and synced (to MIDI / to the internal sequencer). Well, the entitlement is not “completely” correct. Not all parts of the envelope, but at least ATTACK and RELEASE, can be modulated. Even that alone is a source of absolute pleasure (remember – you’ve got a Fatar TP/8S keyboard here), contributing again and again to a certain Yamaha CS-80 feeling. 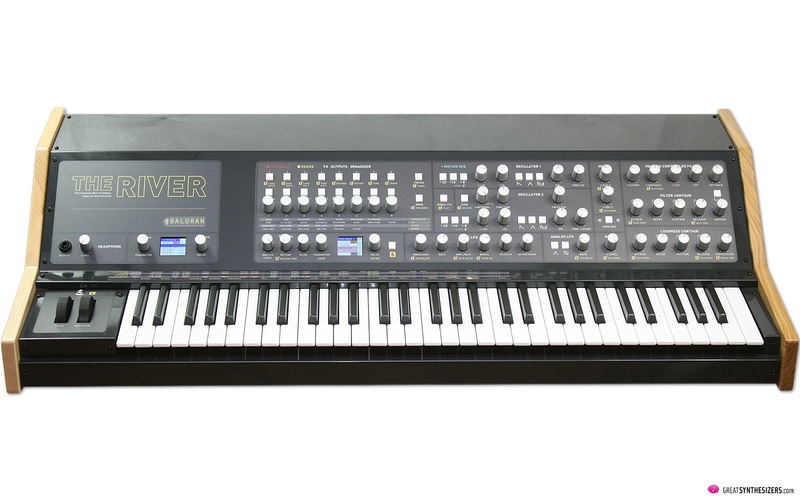 In addition to the – more or less – classical analog sound generation with a particularly lively basic sound (8 LFOs), it is the many extras that make THE RIVER such an impressive synthesizer. Here we enter the territory of RiverKey, the control center supporting the instrument’s voice management. Even such “simple” settings result yield very lively sound impressions. Voices appear randomly in the panorama image with their individual volume settings. By setting eight different fundamental sounds, ordinary playing can produce arbitrary, almost atonal melodies / harmonies. 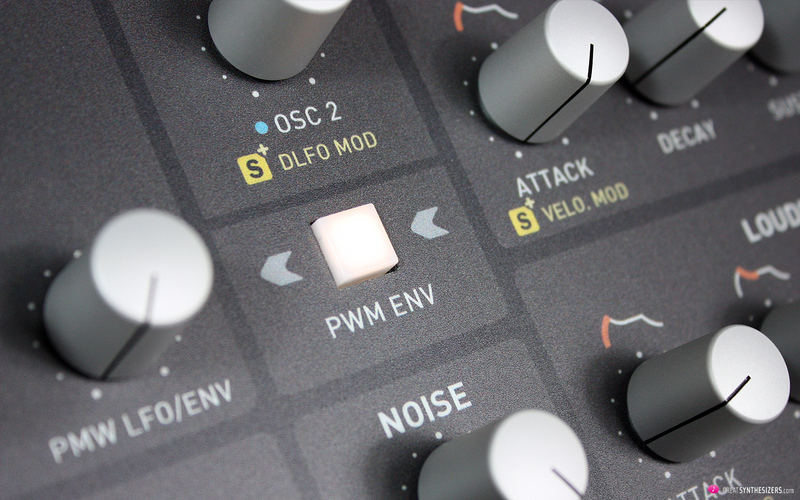 By implementing octave jumps (values ​​-24 / -12 / 0 / 12 / 24), you can achieve simple tonal effects as with a step sequencer. The potential inherent in customizing volume, panning and pitch per voice is one of THE RIVER’s greatest musical strengths. The resulting liveliness by far exceeds the flexibility of other polyphonic analog synthesizers. Great praise to Laurent Lecatelier, who has taken so much care with that “individual voice regulation”. Who needs Red Bull? 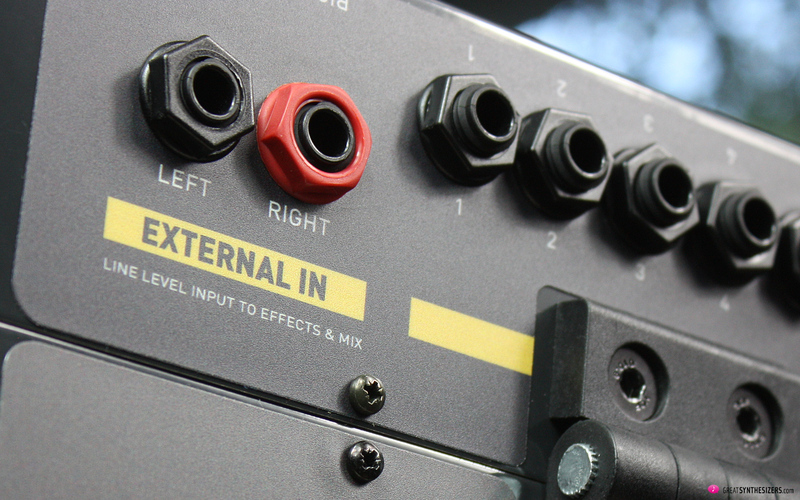 TRIKO, the integrated effects unit, gives your sound wings! Although there is not a great variety of FX types available (… just a handful), the resulting sound quality is excellent. Whether you choose a large reverb (concert hall), stereo delay, chorus or tape echo … the effect track will enrich the already lively sound. There is also a wealth of extras here. 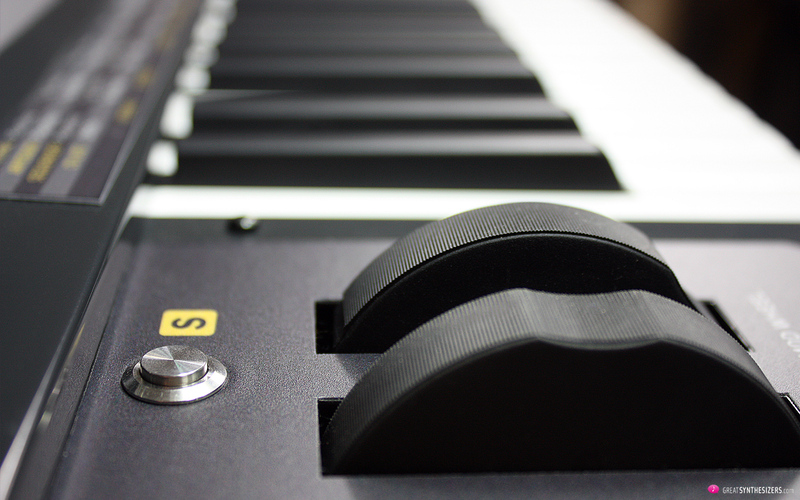 Effect components can be dynamically controlled via the keyboard. 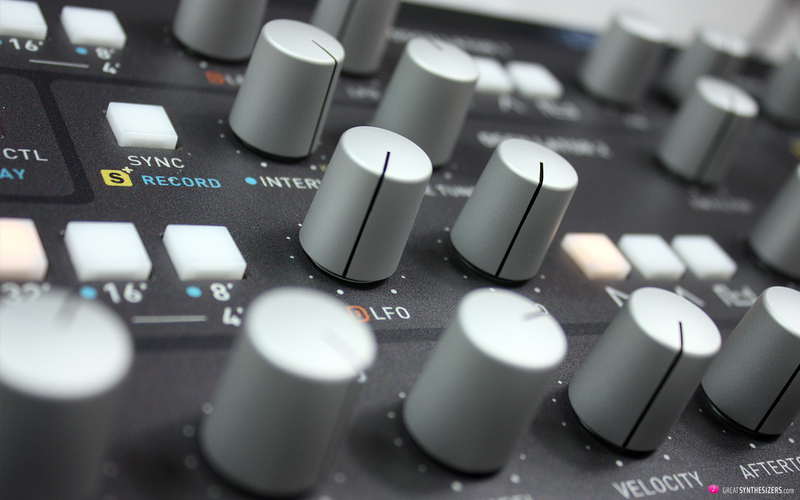 The percentage of Chorus, FX and Dry settings can be adjusted individually (panorama, volume) in the Effect Mixer. The fulminant Tape Echo simulation is of special quality. We refer you to the attached soundfiles … have a listen. Here, the vintage character ends, as we go in-depth with RiverKey. This is where the second display (the left one) comes in, and here the musician can set up a multitude of performance scenarios. Basically, the user can set up (up to) 4 separate layers. 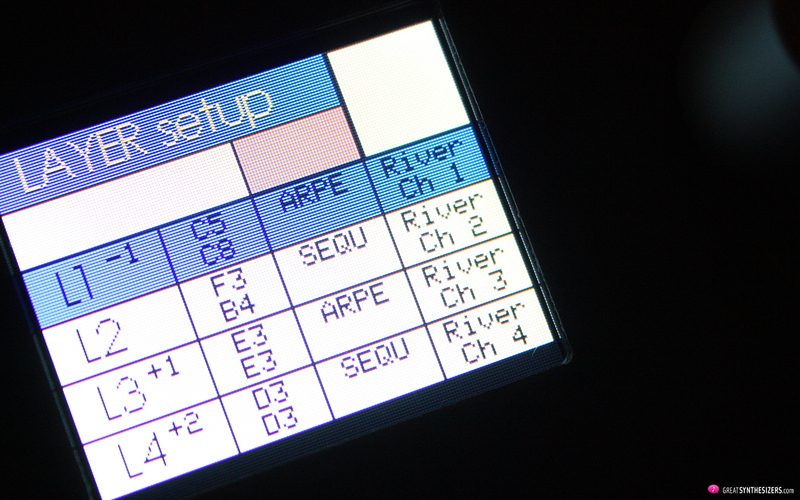 Each area can command its own keyboard range (from A0 to C8). And each layer can either be played live or controlled by sequencer or arpeggiator. Just savour that fact for a minute! Double arpeggiator? A breeze! Quadruple arpeggios? Well, why not! Whether the four-fold firing of arpeggio patterns (individually adjustable) is musically meaningful, is another matter. But the possibility exists. Likewise, the sequencer can be activated per layer. Everything freely mixable and everything synchronizable, according to your desire and mood. Layer sounds can be stored as multiple-sounds. And that’s not all. Since there are so many features and options, it might be a good idea to memorize your global (multitimbral) settings in so-called PROFILES. Basic performance settings that can be accessed quickly. 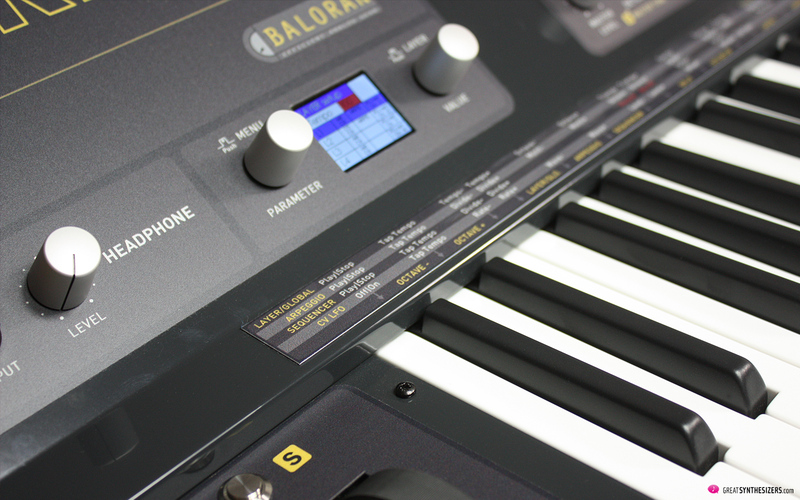 BALORAN has assigned those extra (performance) functions to the keyboard. Press S (SHIFT) and then the associated key. Done. The arpeggiator is a flexible, detailled tool: Divide, Motif, Octave, Order, Latch and Duration – enough features to play around with. Remember: Each of the 4 layers of sound can operate its own arpeggiator … quadruple those above-mentioned possibilities and you get an idea of the vast potential we’re talking about here. Thank heavens, the sequencer is as simple to operate as the arpeggiator. Record your notes via keyboard, press a certain button for rests. Velocity data is immediately recorded, transposing sequences in realtime as a matter of course. Divide, Order and Duration are additional features contributing to musical refinement and synchronization possibilities. The performance possibilities are vast: Play along with your own sequence, fire off sequencer and arpeggiator at the same time, or control multiple (!) sequences / arpeggiatons by hitting a single key. “DEMO 2” demonstrates those possibilities – what you hear are various sequ/arp patterns in realtime. 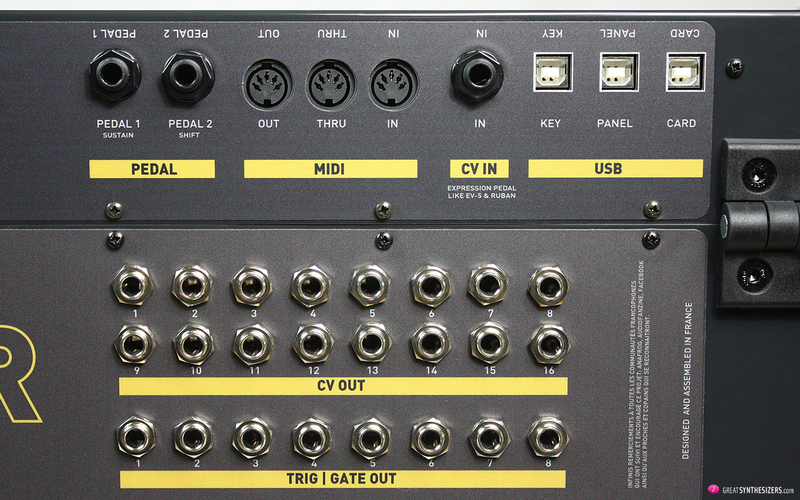 Last but not least, step-sequencer tracks are sent out through the rear-side CV / Gate sockets. 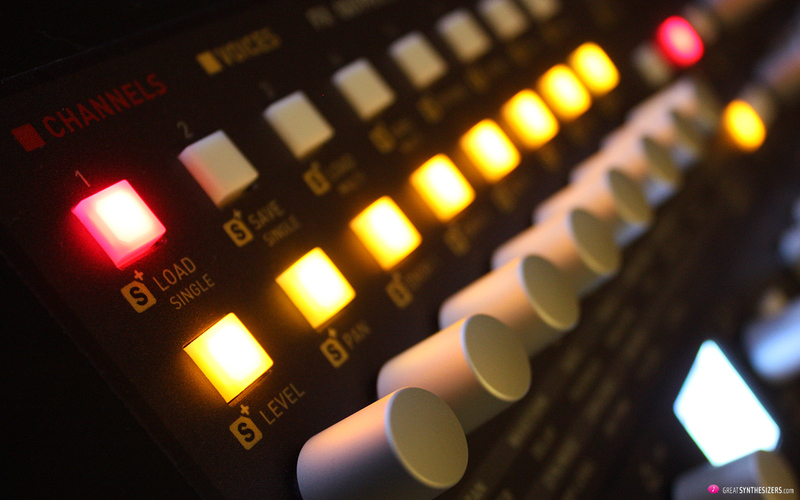 The tracks may also be used to control other analog synthesizers. 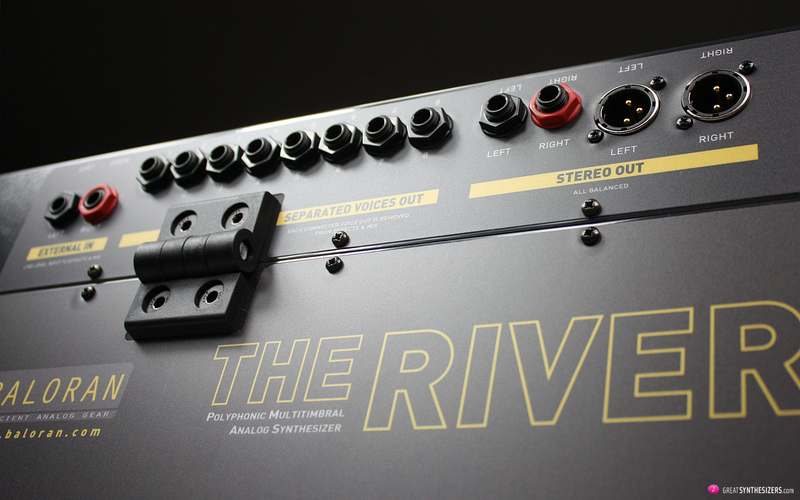 THE RIVER: A truely flexible studio control center. 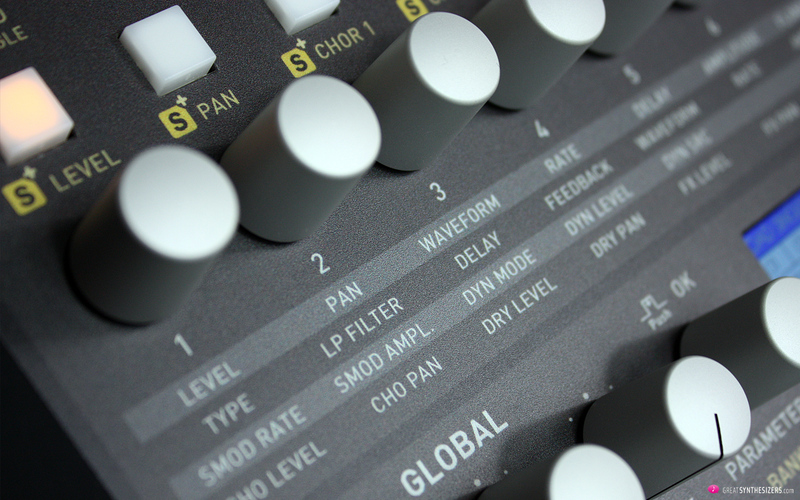 The instrument’s matrix of 8×2 buttons affords you access to all those menues. This matrix is also used for selecting individual channels (in multi-mode) and for activating / de-activating the instrument’s 8 voices. Back to the (second) SHIFT button. 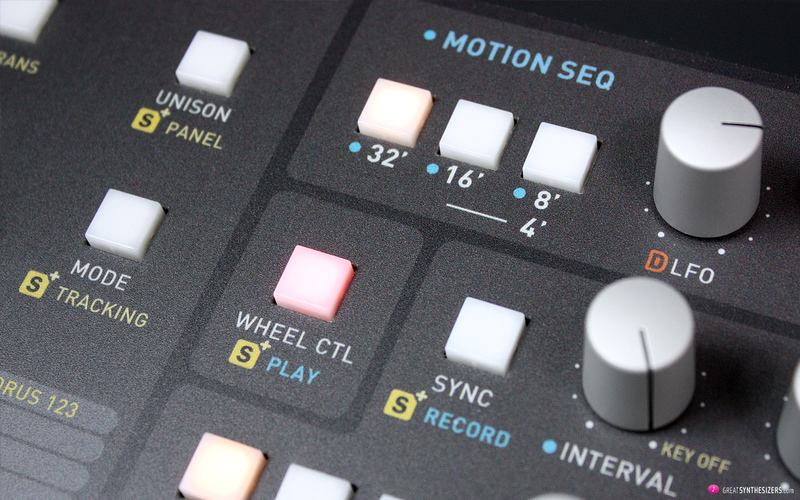 It opens the door to the Motion Sequencer, a separate sequencer that records your knob movements in realtime. The resulting recording is then part of the memorized sound. By the way: OS upgrades are done via a special program (available for free download on the BALORAN website). The update is relatively easy. 3 steps: Key, Panel, Card. THE RIVER features 3 separate USB ports which are all used in the course of the update process. The gold medal for THE RIVER has various facets. The sound is both noble and versatile. The chameleon-like instrument can sound similar to Yamaha’s CS-80 (see “Demo 1” and “Sur Les Terres Du CS” – where else do you get such beautiful brass?) 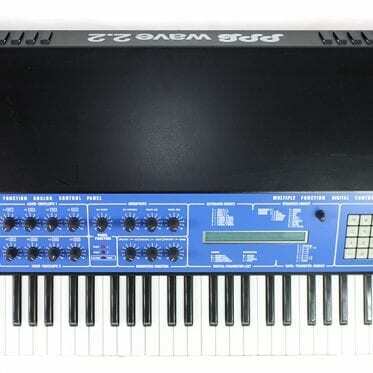 … but is also reminiscent of Oberheim’s OB-Xa / OB-8 (eight analog voices in panorama mode) as well as of an Elka Synthex with its remarkable symbiosis of power and sound density (see the soundfile “Simple Sequ 3 “). There also seems to be a little Prophet-5 hidden in there, especially in its “untuned” state (please do not activate auto-tune). There are even reminiscences of the Hartmann Neuron (listen to sound example “Mystique”). So, the versatility is enormous. The sum, ultimately, of all these impressions (and much more) is THE RIVER. The filter resonance is a little bit peculiar and, we would say, atypically moogisch (here, a 1: 1 comparison with Moog’s THE SOURCE would be exciting). But that’s not the point. All sound aspects of THE RIVER are of high musical quality. As you can hear in the attached 50 minutes of audio examples, the sound of THE RIVER ranges from “impressive” to “overwhelming”. Technical flexibility also means complexity. Of course, puchasing THE RIVER means expecting a fabulous “good” sound which is worth a slim 5,500 Euros. But then again you wanna have total MIDI control and, certainly, USB along with all the other extras. 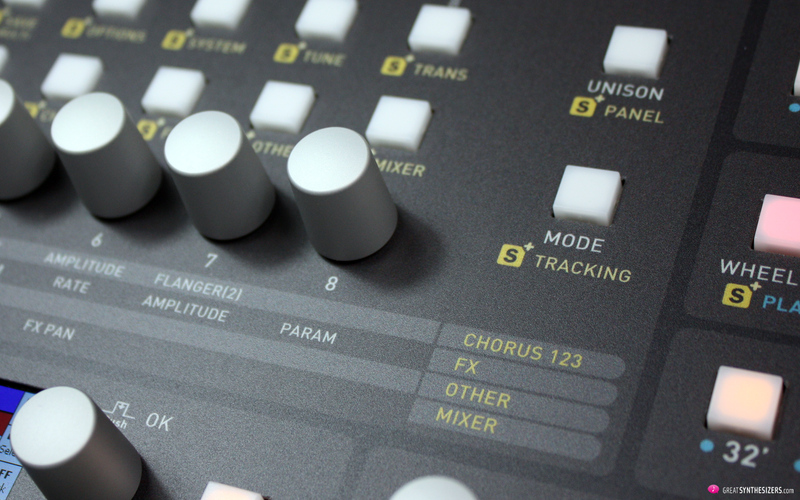 Touch dynamics with the best possible control is as essential as arpeggiator and sequencer. Well, where exactly does the wish list end? I personally would be satisfied with the “good” sound and some basic extra features (MIDI, dynamic keyboard, end of the story). Fact is: The more comprehensive the system, the more time-consuming it is to handle. Perhaps this is where the irresistible charm of many polyphonic vintage analog synthesizers lies: In their timeless simplicity, in their “plug & play” mentality. Instant music, so to speak. 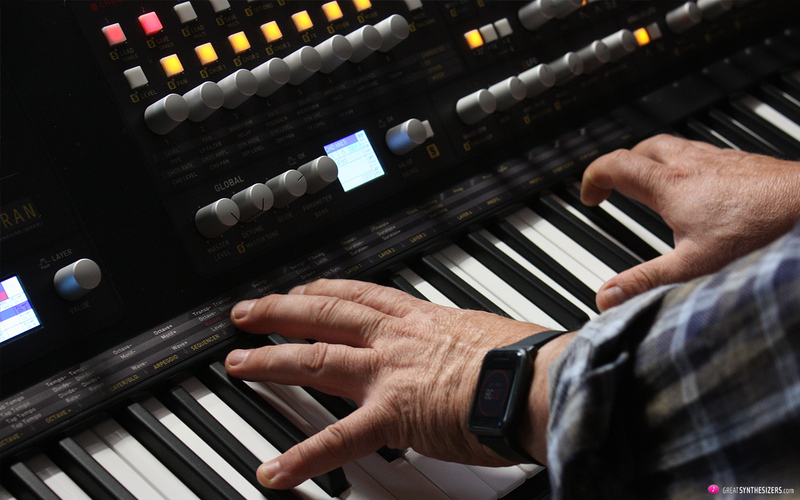 All those sound-, performance- and system-possibilities of modern synthesizers push back spontaneity. Same with THE RIVER. You easily get stuck in operation- / programming- / system-procedures. Nonetheless, there’s a simple solution: Just concentrate on SOUND. Just play the “synthesizer”, don’t even try to make things too complicated. This synthesizer sounds extremely good! Still, we wouldn’t be us if we wouldn’t have 4 small wishes. No. 1 and 2 can be easily fulfilled by the user itself, No. 3 and 4 can not. First, there’s that audio signal overdrive. For many hours I was irritated by a certain unexplainable “crackling” in the audio signal – especially when playing full chords. At some point it became clear that the levels of OSC 1 and OSC 2 (mixer section) need to be lowered significantly. Then the audio signal immediately becomes clear and free of unwanted overdrive effects. Just a little tweaking and the problem is solved. Second, there are those instrument’s lower frequencies. They are – somewhat surprising – not quite as voluminous as you (possibly) would wish. 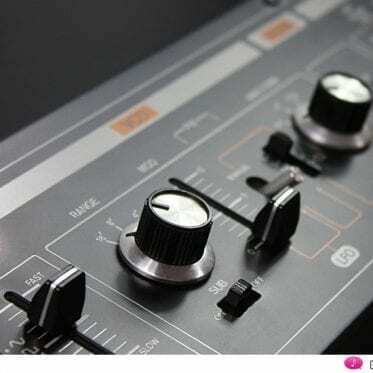 Just add some little extra bass (external mixing console) – and everything is fine. Third, there are those zipper noises. Moving the pots in live operation causes – fine ears assumed – slight zipper noises. They don’t hurt too much, but they are there. Be careful when tweaking knobs while recording soft sounds. 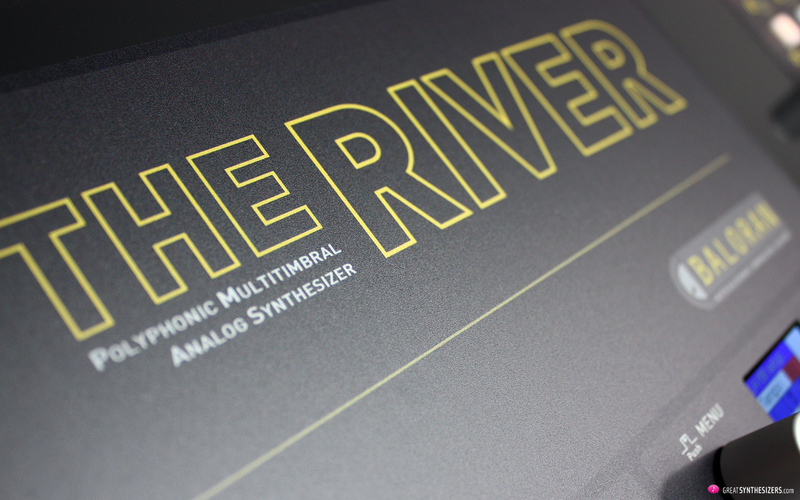 THE RIVER – this French masterpiece – is an elemental SOUND force. And an instrument with great technical finesse. 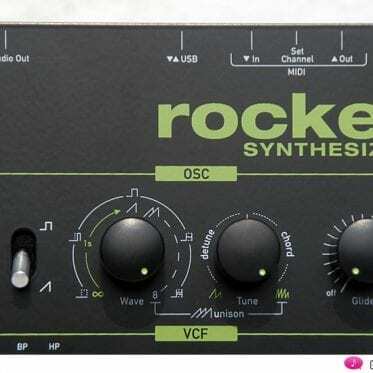 For about 5,500 Euros you get a fabulously good and powerful sounding 8-voice analog synthesizer. 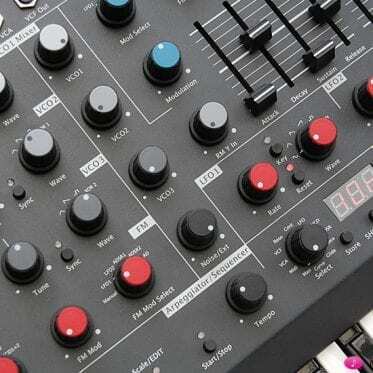 A representative of that rare species of real analog mega-synths that can sweep the listener away. Individual voice adjustment (volume, pan, transposition) has massive acoustic sound potential of which only a few synthesizers in history have been capable. Focusing on that high-quality sound might force you to omit some of THE RIVER’s extra extras in the first instance. 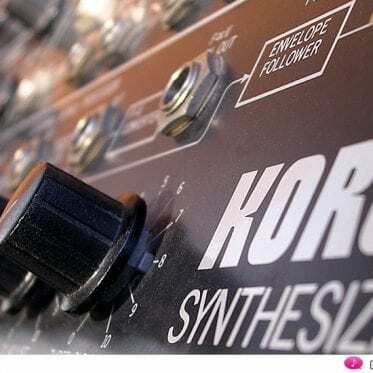 Better to keep things simple: A single-sound here, a two-layer multi-sound there, maybe adding a plain arpeggio pattern, … the more simple the workflow the higher the chances of remaining in the process of creative sound design. And that’s what it’s all about! We’ve added 50+ minutes of audio material. Everything you hear is 100% THE RIVER, with the exception of Analog Rytm in one demo. No additional synthesizers, no additional effects. It’s all THE RIVER, nothing else. … Laurent – thanks for all your (email) support and for your audio demos! … it’s an excellent product you’ve created, Laurent !!! Impressive sound, rough indeed, but smooth and lush as well. The River is enchanting like no other. The problem though, is that I live in the United States. Is there any chance that it will ever be available to purchase from here? … hi Keith … sorry for the delay. In principal – yes. I got THE RIVER two months before releasing the review, so there was not much time for creating own presets. What I did: Using the original patches and instantly modifying most of them. Basic sound architecture of THE RIVER is simple, so that was not too much work. It got a bit more tricky when adapting all the performance-options, though (aftertouch, wheel-performance, global D-LFO, sequencer, …). Beautiful sounding synth. Hoping you might also be able to do a review of Deckard’s Dream. 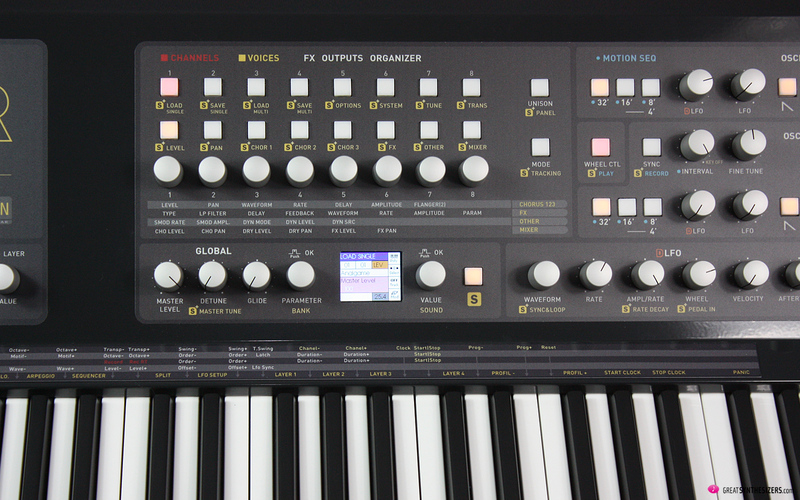 Also a beautiful sounding synth. And also by a little builder (which I personally like a lot). Previous PostMoog ONE – the ultimate Moog synthesizer? 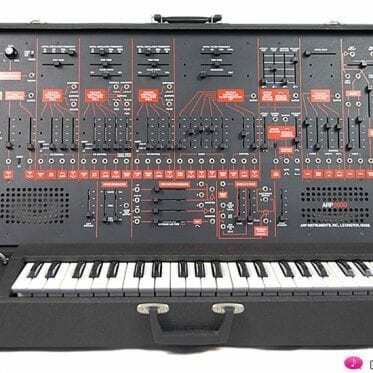 ARP 2600 – holy grail of analog? 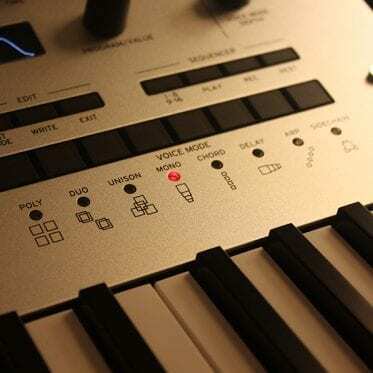 Korg minilogue – stepping stone to a pro’s synth? 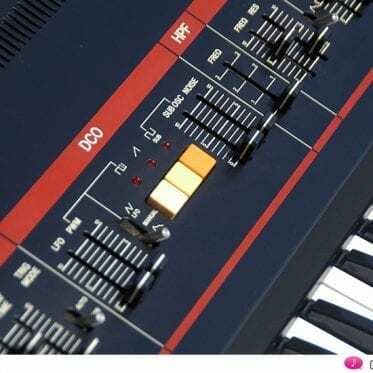 Roland Jupiter-4 – the GOLDEN oldie?